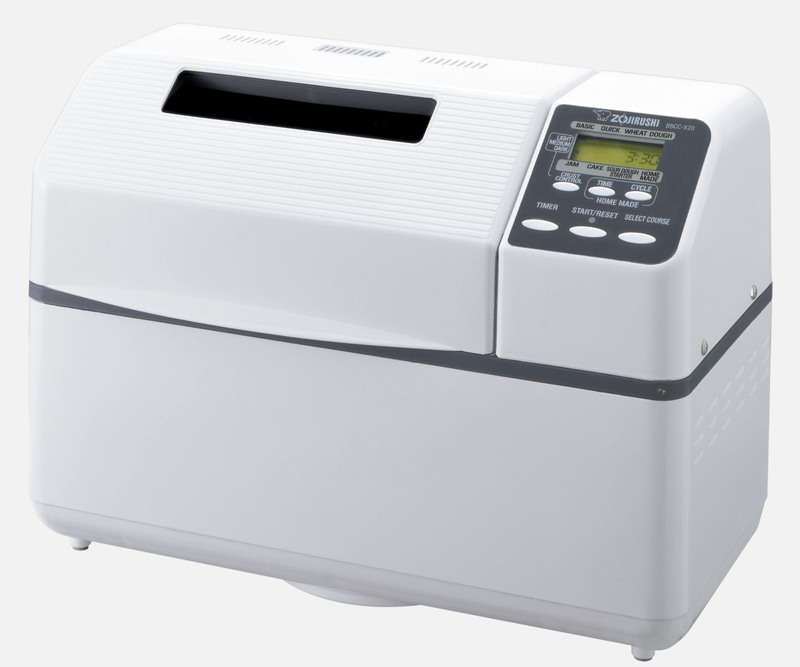 Are you craving hot, fresh pizza for lunch? 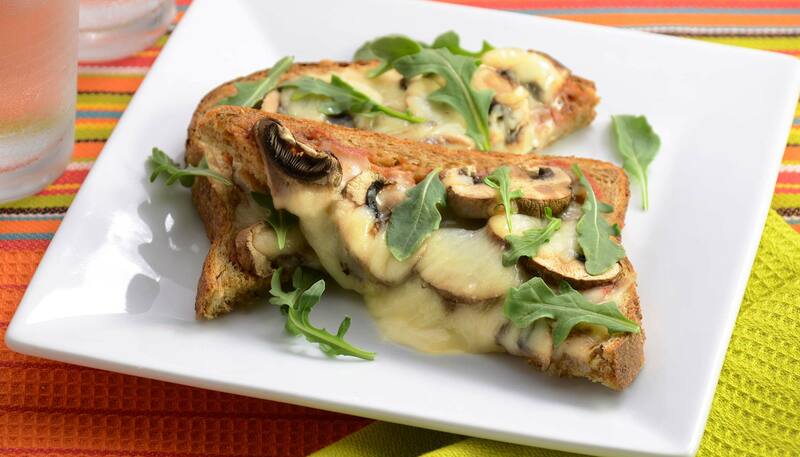 Take a few slices of bread, add some pizza sauce, cheese and mushroom, and enjoy a freshly toasted pizza in no time! 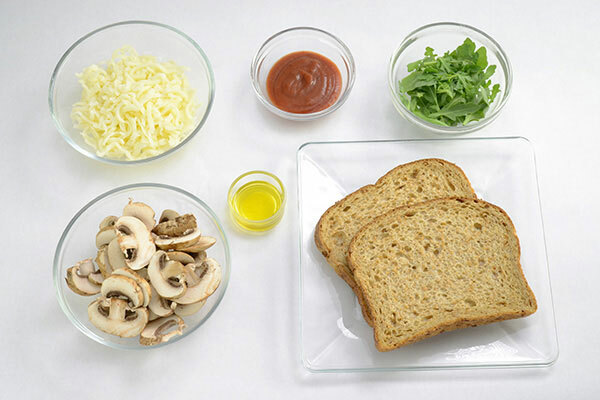 Spread olive oil evenly on the surface of the bread. 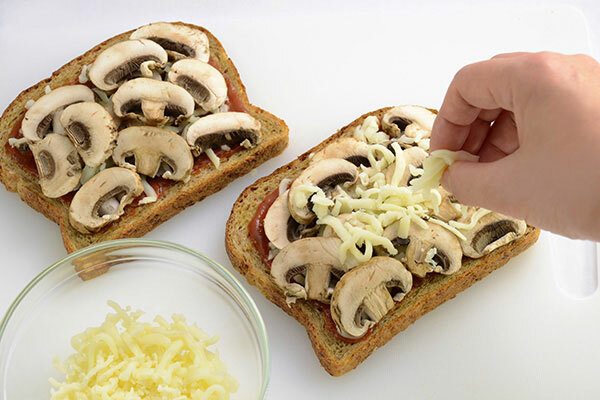 Next spread the pizza sauce, add half the cheese, then mushrooms. Top it off with the remaining cheese. 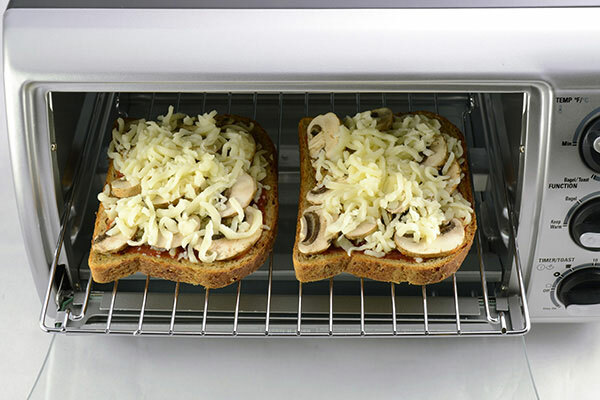 Bake the Pizza Toast in the toaster oven for 2 minutes or until cheese is completely melted. 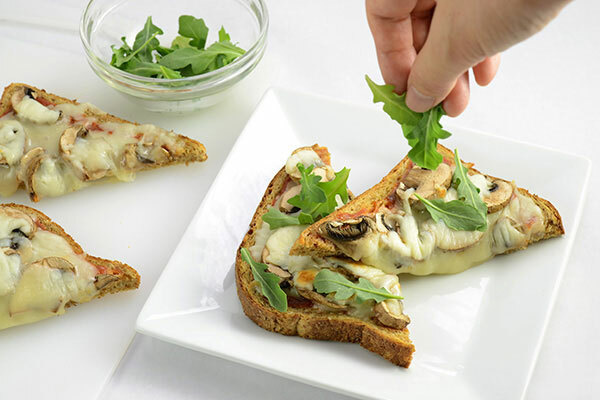 Cut diagonally in half, scatter arugula over pizza and serve while hot!